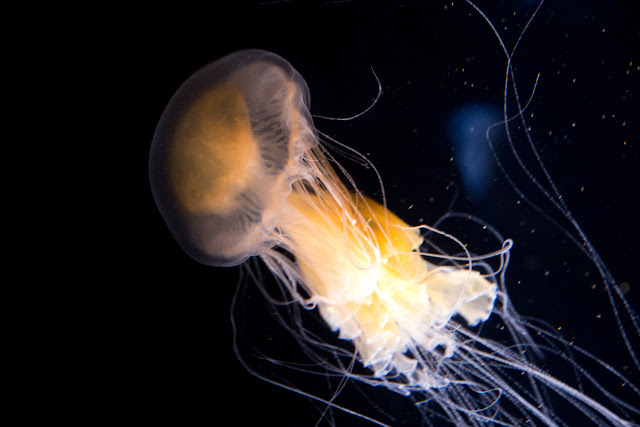 Keeping jellyfish in aquariums is a tough challenge as I learned a few years ago. They need constant flow of water since that is what they move through. And it is important that they keep moving constantly for their metabolism. At the same time a tank must not have corners because they get themselves into those corners and crush to death. The New England Aquarium in Boston has jellyfish in a tank that is specifically designed for them. They are quite the show, I think. Quallen sind in Aquarien schwer zu halten, habe ich vor ein paar Jahren gelernt. Sie brauchen konstanten Wasserdurchlauf, weil sie sich dadurch hindurch bewegen. Außerdem ist das wichtig für ihren Stoffwechsel. 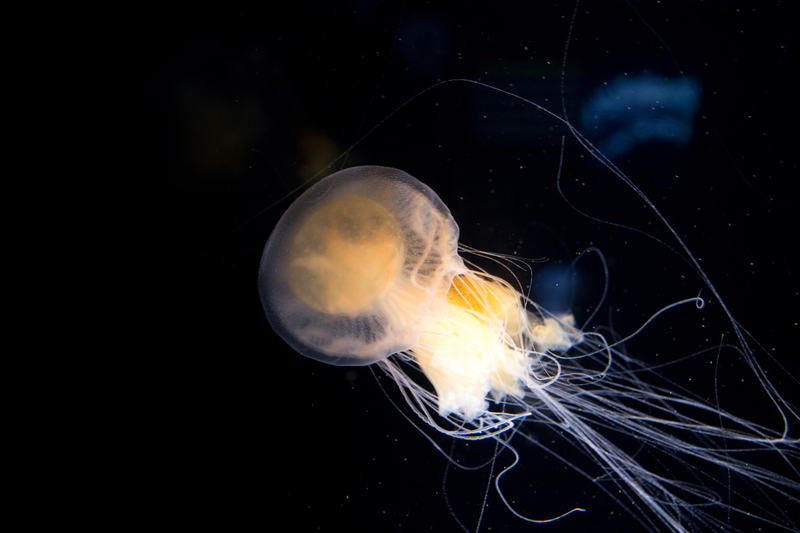 Gleichzeitig darf das Aquarium keine Ecken haben, weil die Quallen sich dort hineinmanövrieren und sich selbst darin zu Tode quetschen. 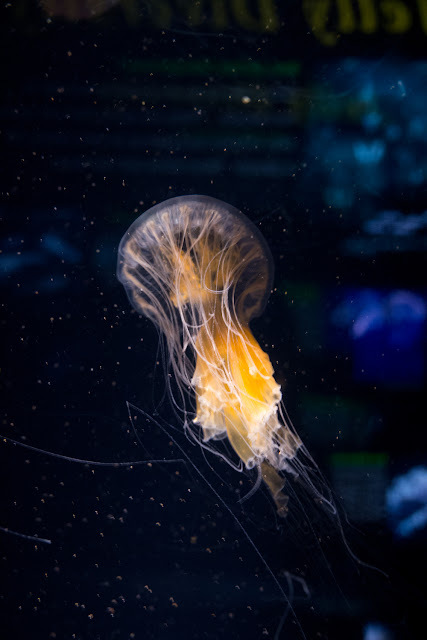 Das New England Aquarium in Boston hat Quallen in einem Spezialbecken. Have you seen northern lights?